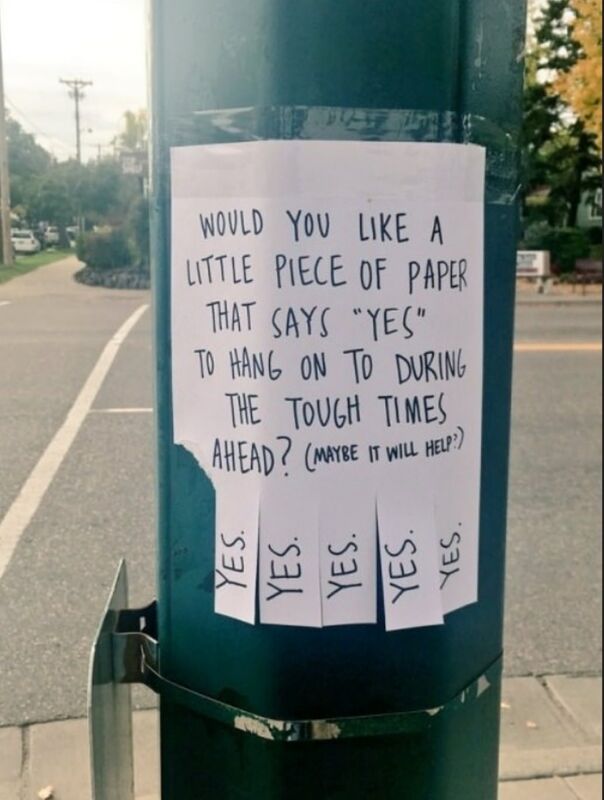 Would you like a little piece of paper that says "yes" to hang on to during the tough times ahead? Maybe it will help? Yes.